HomeNewsBirth controlHow to Avoid Side Effects of Birth Control? Some drugs can cause such a serious disease as thrombosis. In this case, it all depends on what dose of hormones is part of the drugs. To avoid side effects, you need to consult a gynecologist! Remember that you cannot start taking oral contraceptives without consulting a gynecologist. The specialist should carefully collect information about the state of your body for the effective selection of the drug. Use of the right medication will help you avoid unnecessary risks. This information includes history – collecting information about thromboembolic diseases, diabetes, hyperandrogenism, and other diseases in your family – and testing. The examination should include a general gynecological examination, examination of the mammary glands, blood pressure measurement, smear collection from the cervix, blood clotting and sugar, and an assessment of the risk factors based on the results. Make sure the drug is not contraindicated for you! Using the birth control pill which is contraindicated may increase the risk of adverse effects. Birth control pills are also contraindicated in smoking women. 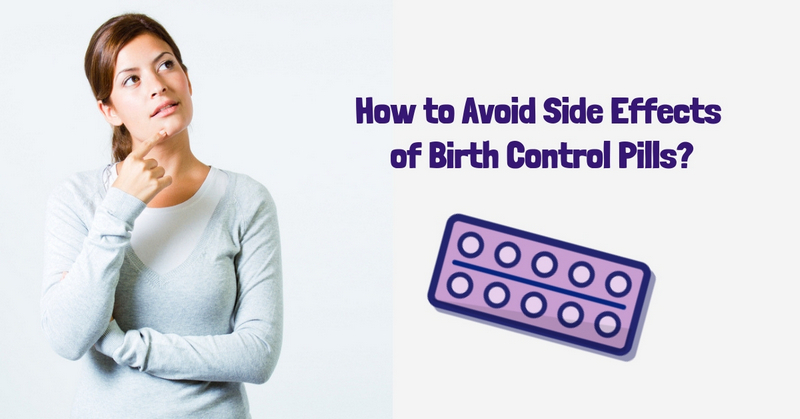 How to avoid side effects when you quit birth control pills? After the withdrawal of hormone-containing contraceptives, the reaction of the body is individual. It all depends on the state of health of the woman, her age and other related factors. Some of the women note an improvement in mood, others – on the contrary, are becoming depressed, often experiencing a feeling of aggression and irritability. The termination of the regular receipt of uniform doses of hormones over a certain period of time can cause the so-called withdrawal syndrome. Many women note a general deterioration of health, nausea and dizziness, a change in taste and olfactory sensations, an increase or decrease in the duration of the menstrual cycle, etc. This reaction to the withdrawal of birth control pills is quite natural, but if it does not disappear after a couple of months, you should consult a doctor. You should gradually reduce the dosage of hormones, following the scheme developed by the doctor (unless the woman needs to stop taking medication urgently).